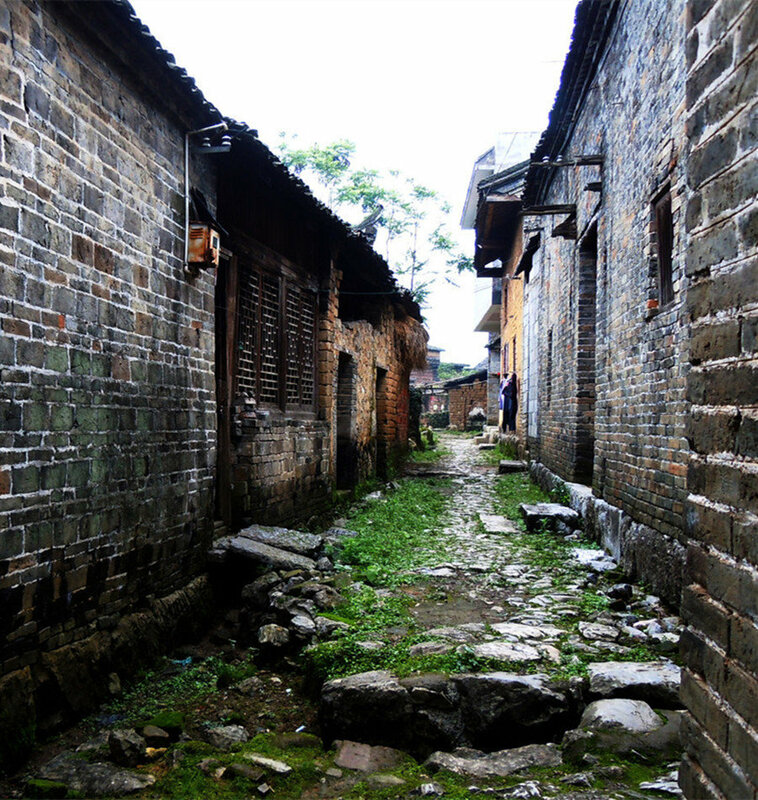 Situated in 8 kilometers east of Yangshuo, the Fuli Old Town(福利古镇) dates back to the early Ming Dynasty between 1368 – 1644. 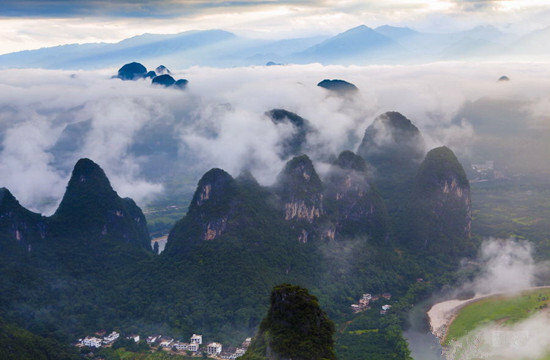 Tt takes about 20 minutes drive from Yangshuo. Bicycle is the best way to travel to Fuli. On the way you will be greeted with scenic areas and villages, as you casually ride along the road. 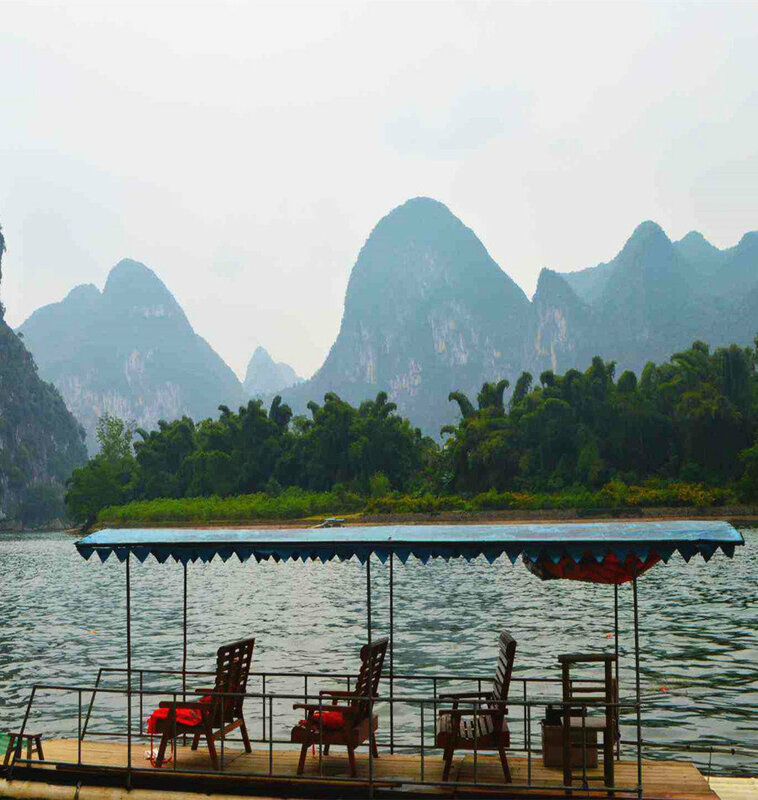 Eventually you will need to cross the Li River on a small wooden boat. The boat goes across and back every few minutes and drop you off right next to the 3 sisters cafe. Here you can leave your bikes free of charge while you wander around the old town or visit the market. This restaurant also produces great food and has great views. 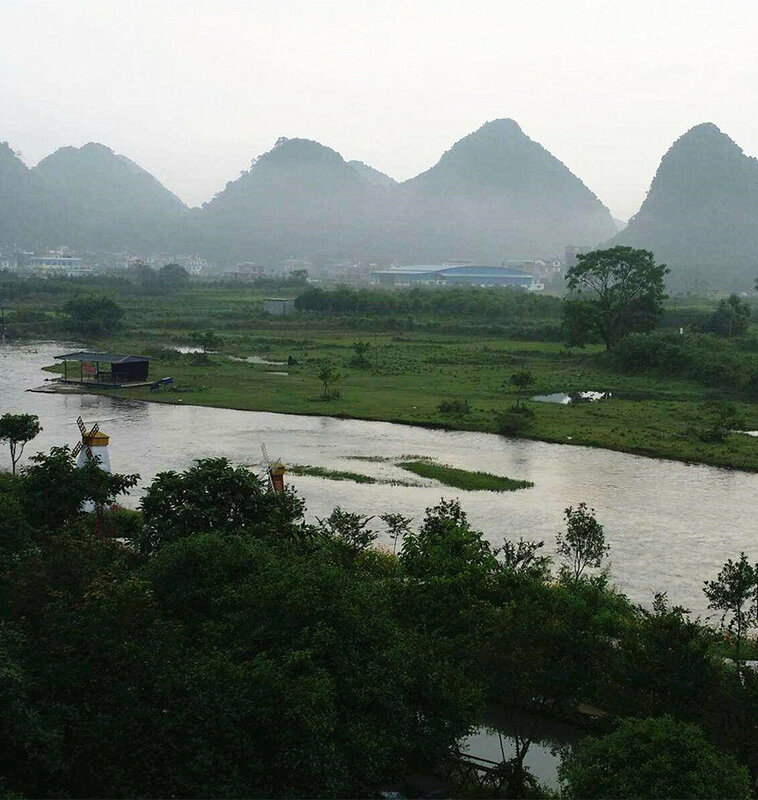 On one side is the new town which is next to the main road that leads to Guangdong province. On the other side is the old town which is on the bank of the Li River. The old town still has all of its old houses which you can peek into and see the simple lives of the local people. Wandering around the town you will see all the traditional new-year decorations which remain in place for the entire year. A walk around this old town is a very memorable experience. Fuli also has markets on any day (2nd, 5th, 8th, 12th, 15th, 18th etc.) of the month that ends in 2, 5 or 8. Please note, Fuli Old Town can attract pickpockets so please be aware of this in advance. Just take your essentials there with you. 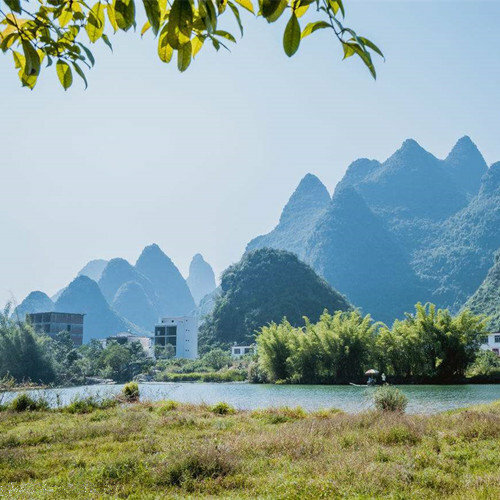 Local minivans operate as buses and leave from the bus station in Yangshuo in every few minutes. Be sure to stop by to visit small factories producing painted paper fans. The barber shop, which also doubles as the local Chinese pharmacy has lot of interesting stories of its own. Three huge rocks on the bank of the river are known as Rocks of Three Girls (Three Sisters,三姑石). It was named after three girls who are believed to become immortal. 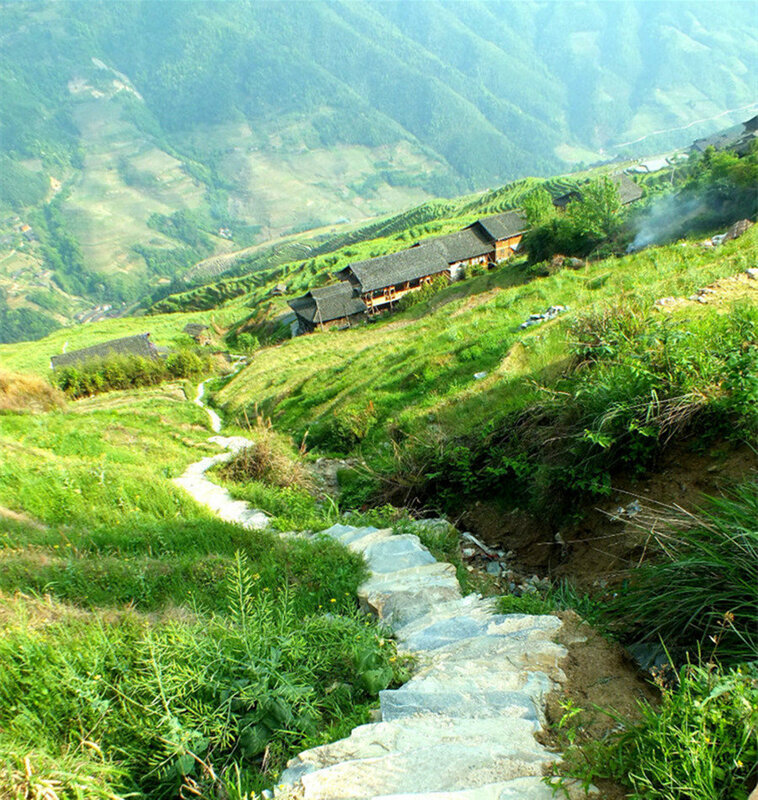 After you walk up the steps, you will come to the Kuixing Tower (魁星楼), which is another gate to the Fuli Village. The tower offers you a bird’s-eye view of the river and mountains. Fuli is also great for purchasing scroll paintings and Chinese fans. The fans are made here and you can observe how they are made.